Found 11 blog entries for December 2015. Saturday, December 26th, 2015 at 5:30am. Here's our post Christmas gift to all our lovely readers and clients! 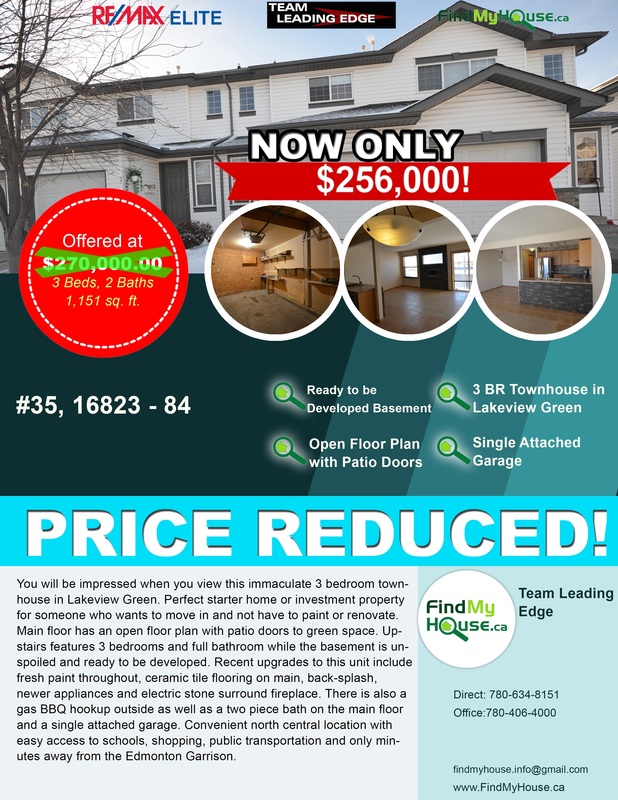 Team Leading Edge Lakeview Green listing is now selling for only $256,000, that's a $14,000 discount from the original listing price of $270,000! This home features 3 spacious bedrooms, 2 lovely bathrooms and a huge 1,152 sq ft of living space for the family. You can even smell the scent of fresh paint the moment you walk inside this masterpiece. Owner also upgraded the ceramic tile flooring and installed new appliances. Outside, a gas BBQ hookup is waiting for you. Your precious car would also live the good life inside its single attached garage. Take a quick video tour now! Friday, December 25th, 2015 at 7:44am. Talk about Christmas gifts! Santa is definitely in town! Spacious with its 1,152 sq ft of living space, this Edmonton home is a great place for you and your family to kickstart 2016. With the tough economic environment we're experiencing in the country, a bargain house like this is hard to come by so it is best you take this opportunity to have it for your own. Think about it. Located near the vicinity of schools, shopping malls, public transportation and the Edmonton Garrison, this Edmonton home for sale is provides a conducive environment for you and your family to grow and succeed. Friday, December 25th, 2015 at 7:01am. Team Leading Edge would like to greet everyone a MERRY CHRISTMAS! It's been a wonderful year even though the country have experienced a lot of economic hardship and drastic changes. 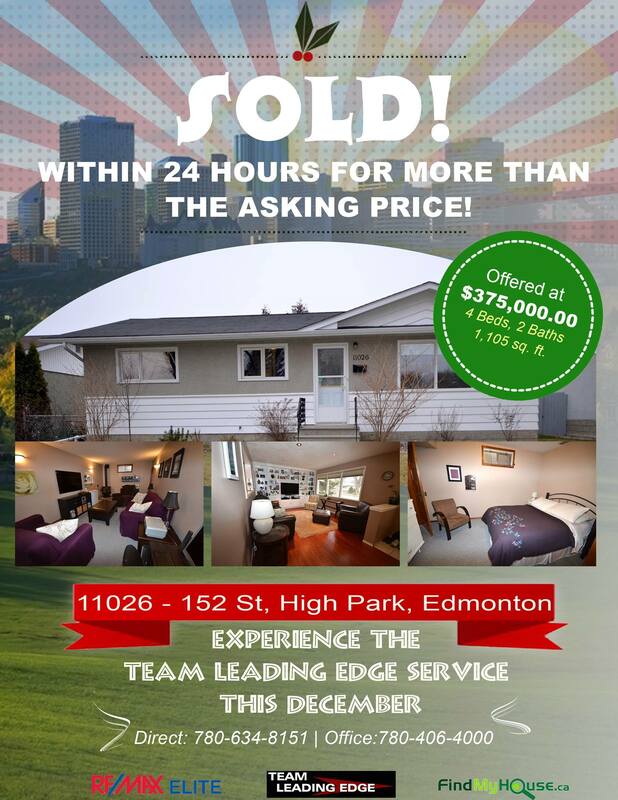 We at Team Leading Edge would continue to help each and everyone in Edmonton own or sell their homes. We'll make sure to improve our service and add more features to make our clients and readers lives easy. Times may be tough but it won't mean you can't sell your Edmonton home! Check out how you can successfully sell your home this coming 2016. Remember, you can access all our available Homes For Sale in Edmonton through our Edmonton MLS Listings page. Thursday, December 24th, 2015 at 7:31am. 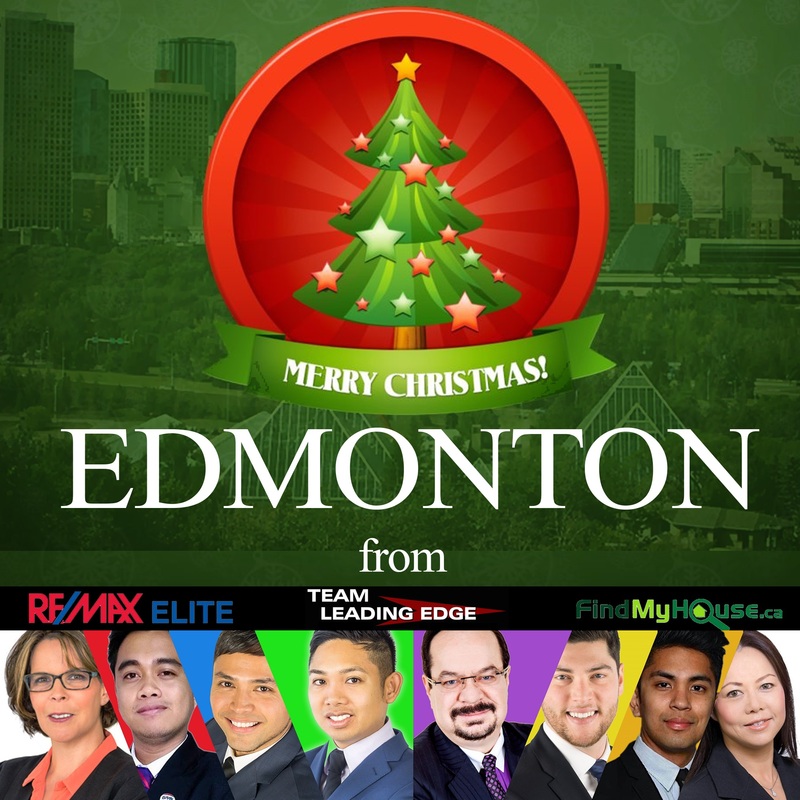 This Christmas eve, we at Team Leading Edge are still keeping our eyes and ears open to gather information that may help you in your Edmonton real estate venture this coming 2016. Below is a condensed report that we made. We hope the figures and analysis can better guide you in making crucial investment making decisions. The Alberta Real Estate Association (AREA) recently released its November report on the province's year over year home sales track record and as the title says, it's looking not so good. Tuesday, December 15th, 2015 at 6:19am. 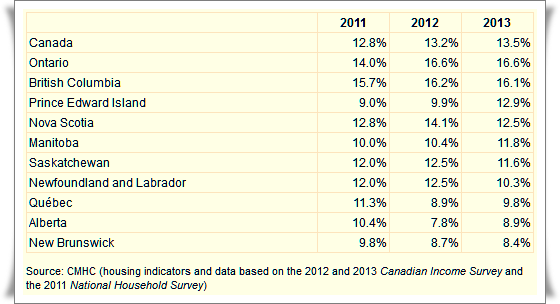 The image above shows that in 2013, Core Housing Needs for Canadians Living in Urban Areas reached 13.5%. This report was released by the Canadian Mortgage and Housing Corporation last 14 December 2015. Entitled "First Annual Estimate of Urban Households in Core Housing Need Based on Statistics Canada’s New Canadian Income Survey"
Based from the Canadian Income Survey, 13.5% or 1.4 million home owners in Canada that are living in urbanized areas had core housing needs in 2013. This figure is equal to the survey done a year before. Saturday, December 12th, 2015 at 11:01pm. Just a quick notice to all our readers and clients. It's official! 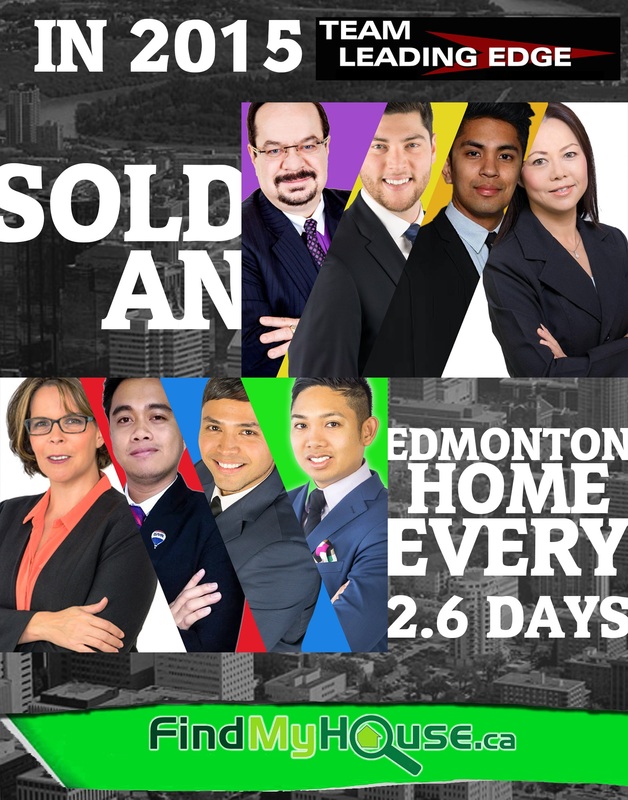 Team Leading Edge sold an Edmonton home in an average time-frame of 2.6 days this 2015! We feel grateful to everyone who placed their trust in us. As 2015 wind down, we'll continue to help Edmontinans own and sell Edmonton homes and strive to provide a more improved customer service. Thursday, December 10th, 2015 at 6:21pm. RE/MAX International today released its Canadian Real Estate Market Outlook. Click on the link to download your copy. As always, Team Leading Edge is making sure that you have the LATEST information on the real estate market across Canada and right here in Edmonton. We want you to make the most informed decisions that you can. If you have any questions or want more information, please do not hesitate to give us a call! Thursday, December 10th, 2015 at 8:33am. Calling out all Edmonton real estate investors, buyers and sellers! Canada Housing and Mortgage Corporation just recently released their 2016 Housing Market Outlook for Edmonton CMA and we at Team Leading Edge thought of sharing it with you. To survive the real estate market climate in Edmonton, you would need insights and useful information. Every real estate decision you make this December will make or break your wallet-by sharing the data that CMHC gathered and published, we hope you can prepare and adjust your real estate strategies, not just this month but also for the upcoming 2016. 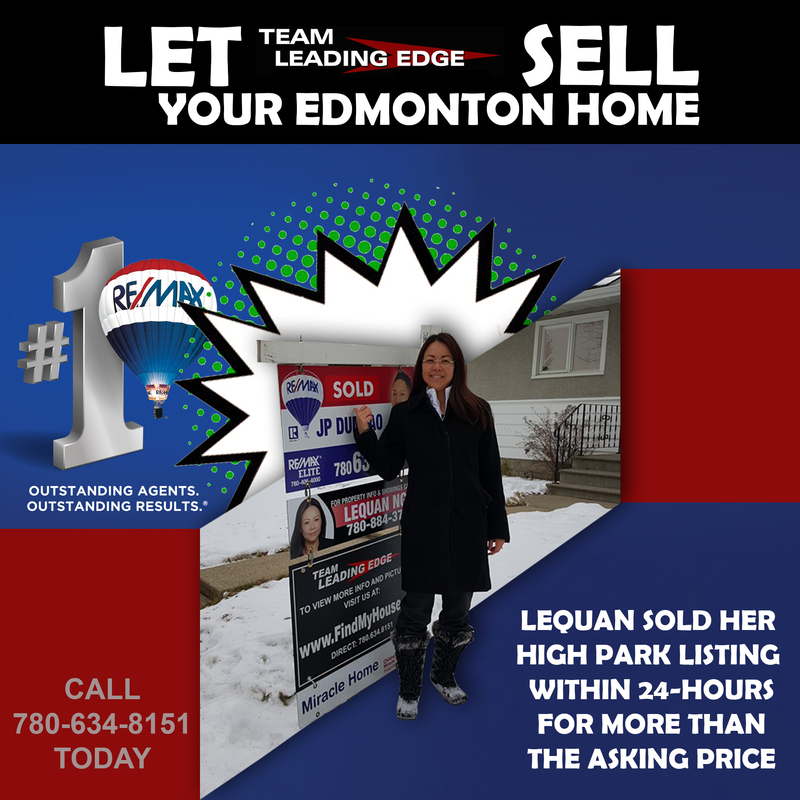 Team Leading Edge leads the way in helping both home buyers become proud Edmonton home owners and home sellers receive utmost profit from their real estate investment. As a proof to this endeavour, Team Leading Edge associate, LeQuan Ngo just sold an Edmonton home within 24 hours of being listed on the Edmonton MLS at a price higher than the listed offer! This speaks volume of at the quality of work and dedication Team Leading Edge puts in every real estate transaction, whether it be at the selling or buying side. This December, you still have the chance to experience the Team Leading Edge service. Let the team help you in owning your dream Edmonton house or assist you in selling at a faster-than-average time. Call Team Leading Edge today. Wednesday, December 9th, 2015 at 4:54am. Edmontonians! Your Edmonton Real Estate market stats are here! There was a technical issue in our data base, hence the delay in the release of these stats. This Wednesday, we'll provide updates for the weeks of Nov 20 -27 and Nov 27 - December 4.